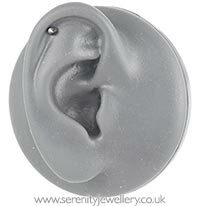 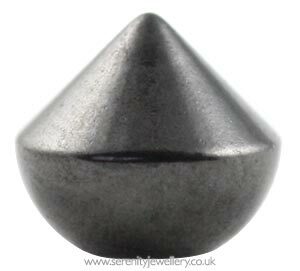 Hypoallergenic black PVD titanium 3mm screw-on minaret ball. Black PVD titanium has a coating of Titanium Aluminum Nitride (TiAlN) applied using physical vapour deposition (PVD) to create a hypoallergenic, long-lasting black colour. It is important to remember that the main difference between the grades of titanium we have is mostly in the manufacturing.